The Child Dental Benefit Schedule (CDBS) is the new Medicare scheme intended to benefit children aged 2-17. Your dental team at United Smiles supports this exciting government initiative that would surely improve your child’s overall oral health wellness. We invite you to take advantage of this new opportunity. We understand the value of forming good dental habits early on in life. Showing your child the importance of good dental care, especially taking them to the dentist at an early age, is a crucial part of developing oral care routine that will minimise the occurrence of tooth problems in childhood and adulthood. This new offer makes your child’s first trip to the dentist more accessible as they are entitled to receive $1,000 worth of dental treatments over two year period. 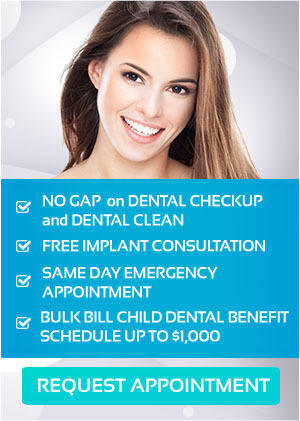 Your child will be eligible for the dental benefits throughout each calendar year. Once approved, the child will receive benefits for two consecutive years. For instance, if the first dental appointment date is on the 1st of January 2014, your child will be eligible for benefits from 2014 until the end of 2016. If the child is still eligible in 2016 and receives dental treatment, then the $1000 grant resets and can be used over 2016 and 2017. Services that are not under the child dental benefits schedule involve orthodontics and cosmetic dental procedures including those conducted in hospital. Dental treatments provided under CDBS will not contribute to the Medicare Safety Net or the Extended Medicare Safety Net thresholds. Call us on (03) 8682 8658 or book your appointment online to know whether your children are qualified for Child Dental Benefit Schedule when you schedule an appointment for them. At United Smiles, we are passionate about your child’s oral health.